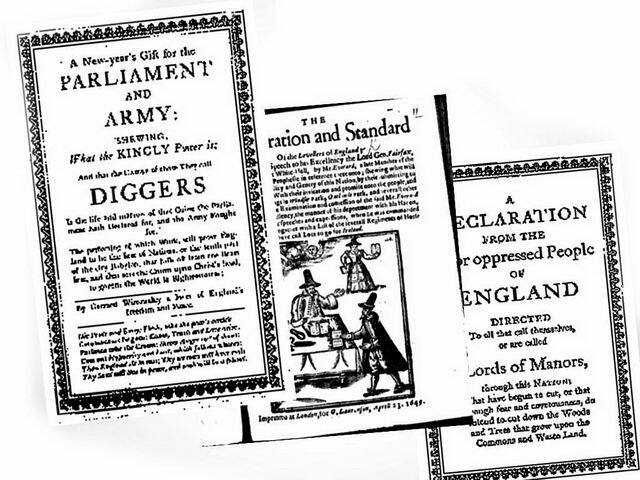 London's News Press and the Thirty Years War is an important addition to both our knowledge of the origins of news reporting and the Thirty Years War. A considerable feat given the complexity of both subjects. The book is extremely well researched and Boys present her arguments in a clear and popular way and seeks to demonstrate “the interplay between high domestic politics, international relations and London news publication”. Boys shows in her book that Britain in the 17th century was an important part of a “European-wide news community”. The book is welcome in this respect because it counters recent historiography that has tended to be hostile to a Eurocentric viewpoint. News from the Thirty Years war was eagerly followed by growing sections of the population. Much of this reporting and printing was illegal and if caught printers and their writer friends were fined and often jailed. It is true as one reviewer pointed out this book is published at a time when a revolution is taking place amongst our own media mainly led by the internet. No less a revolution was taking place in the 17th Century. The media revolution put enormous pressure on monarchs all over Europe especially in the Britain of James I and Charles I. The growth of the new media brought unprecedented dangers to the ruling elites. For the first time ordinary people could read or hear news and draw conclusions for themselves about the major issues of the day. Boys presents an understanding of both revisionist and post revisionist arguments without agreeing with one side or another. It is only recently that a systematic study of these newsbooks has been undertaken but has still received “disparate attention from scholars” so it is very difficult at this stage to place Boys work within current historiography. Perhaps one of the books weakness certainly for me is it does not in any real detail examine the disparate pre revisionist historiography of the Thirty Years War. Current revisionist historiography sees the war as primarily a religious contest in the words of W. Nif's description of the Thirty Years' War as the last of the religious wars and one of the many ". However this view was challenged by the Marxist historians such as Eric Hobsbawm who saw the war in the context of a general economic, social and political crisis of the 17th century. According to, J. V. Polišenský the Thirty Years' War was “the logical outcome of the crisis of policy of the old feudal ruling class. This political crisis of the declining sixteenth and the commencing seventeenth centuries had deep social and economic roots. Economic and political changes did not develop evenly. The law of uneven development resulted in a peculiar situation in those countries whose economic and political interests were in a violent contradiction. These buffer-countries " lay in a disputed no-man's land and were necessarily regarded as natural danger zones”. The examination these various historiography’s would have improved an already good book. Like a number of her forbearers such as Christopher Hill Boys has been unfairly criticized for mostly using printed sources, both primary and secondary. One such critic said “the author cites the Calendar of State Papers Domestic for the reigns of James I and Charles I, but not the State Papers Domestic (SP14 and SP16) in manuscript, available on microfilm and online. To understand what attempts the early Stuart monarchs did make to control the press, information from the actual documents in SPD is vital. SPD is primarily the archive of the secretaries of state’s office which supervised all the monarch’s correspondence (indeed all the monarch’s government business). The senior secretary of state also coordinated Privy Council business and exercised crown supervision of printed matter. “This research lacunae (among others) has led Boys’ to repeat an unfortunate miss-identification of a licenser for the press, Mr. Cottington, who is the joint focus of an entire chapter in her book. Cottington’s misidentification here is even more unfortunate because he was correctly identified decades ago by W. W. Greg, with Greg’s findings supported later by research from Sheila Lambert. Boys is aware of the controversy over Cottington’s identity, but chose to follow mistakes originating with F. S. Siebert, perpetuated in more recent studies by Michael Frearson and Cyndia Clegg. Greg found the autograph imprimatur of George Cottington on a manuscript submitted to him for approval, now in the Bodleian Library. Lambert found George Cottington’s entrance to and degree from Oxford. My own research places him among the chaplains of the bishop of London”. Boys points out that during the Thirty Years war Britain’s ruling elite showed a real fear that news dissemination to the masses was politically dangerous. Therefore the Crown actively sought to control the news by appointing Georg Rudolph Weckherlin in 1627 who was “given oversight of news, as well as other print genres deemed to be politically dangerous”. Weckherlin’s appointment was done in a typically English empirical fashion. He was not employed directly by the crown. However with political and military events proceeding at a dangerous pace the State needed a far robust response to the growing danger of Britain being dragged into the Thirty years War and to counteract the growing political, economic and social crisis already mounting in England. So from early 1630s William Laud, archbishop of Canterbury, working through the High Commission for Causes Ecclesiastical was brought in to control the press. Almost immediately the Star Chamber was used to indict a growing number of people deemed to be advocating sedition. Towards the end of 1637 a number of trials of prominent figures such Henry Burton, John Bastwick, William Prynne, and John Williams, bishop of Lincoln, were charged with seditious libel. However political events beyond the control of Laud and his master Charles I were to hamper attempts at press censorship. Of particularly interest is Boys treatment of the foreign policies of James I and Charles I.as one reviewer said ” Boys supports recent scholarly efforts to rehabilitate James’s political and foreign policies, arguing that the king “was aware of the power of words and sought to influence public opinion” or that Charles, carried out a “laissez-fair approach to the press” . The book is also beautifully presented and illustrated Boydell Press and deserves a wide readership. It enhances our knowledge of both the Thirty Years War and the early origins of newspapers. The book as one writer says it also “increases our understanding of the development of English periodicals, the monograph also helps explain the fascination with and establishes the importance of international news in early Stuart England”. 3. Jayne E. E. Boys. London’s News Press and the Thirty Years War. Woodbridge: Boydell, 2011. x + 338 pp. $99.00. Review by Nicole Greenspan, Hampden-Sydney College. 4. The General Crisis of the European Economy in the 17th Century E J Hobsbawm. Past & Present May 1954. 5. Nick Poyntz reviews London’s News Press and the Thirty years War in History Today Sept 2012.